As someone who suffers from anxiety, I receive a lot of (well-meaning, but often unsolicited) advice about how best to manage it. The most common suggestion I received over and over again? CBD! Like clockwork I鈥檇 hear, But have you tried CBD gumdrops yet? Or strips that melt under your tongue? Or seltzer? So, curious about this three-letter buzzword, I looked into buying some CBD oil. But (ironically!) the prospect of inadvertently choosing a low-quality product from a non-reputable source gave me so much anxiety that I just abandoned the idea entirely. That is, until I found Mowellens, which came highly recommended by a friend. The California-based company鈥檚 products are formulated 100% free of pesticides, additives, synthetic compounds, parabens 鈥� you name it. Also, I鈥檓 a sucker for good branding and Mowellens nails it. They offer a variety of products including The Keeper鈥檚 Stash (a hemp-enhanced avocado honey referred to as 鈥渓iquid gold鈥�) and Lit from Within (a mixture of coconut oil, avocado seed oil, pumpkin seed oil, and hemp extract). And at the helm is Amy Duncan. I have her to thank for my newfound sense of calm, focus, and patience after taking Inner Peace (a flavorless, concentrated CBD oil) for the last seven months. 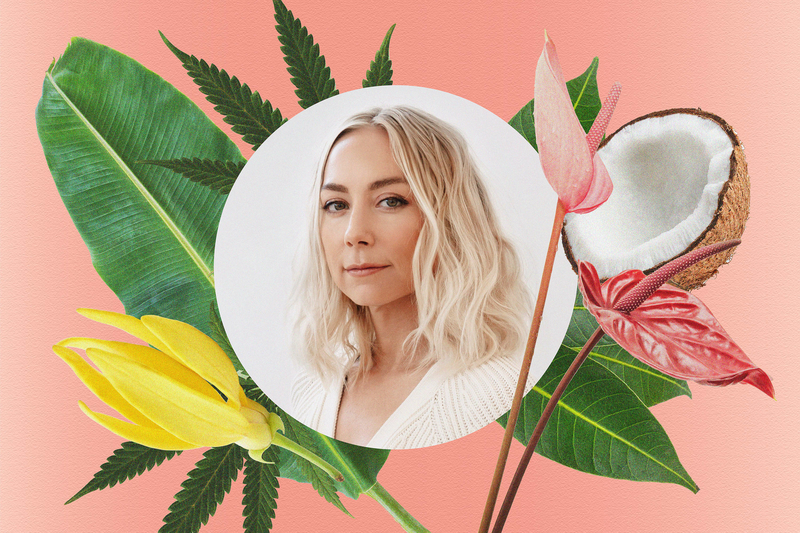 I had the opportunity to chat with Duncan and learn more about her journey into the booming CBD business and her thoughts on what鈥檚 next. How did you get involved in the cannabis and CBD business? My husband was diagnosed in 2012 with glioblastoma. His brain tumor was gone for four years after surgery, chemo, and radiation, but when it returned in fall 2016, he wanted to use cannabis to cope with his treatments and I was like I鈥檓 sorry you can鈥檛; I鈥檓 doing too much research on this and I don鈥檛 know what products are clean. You see, I worked in a genetics lab that was looking at creating a cannabis service line and testing for clean cannabis. In 2016 there weren鈥檛 regulations around testing 鈥� a lot of the products were being obstructed with butane and they were not being tested for residual solvents. When the tumor returned, it was the second time in my life that something out of my control had flipped my life upside down. I was like You know what? I鈥檝e made a lot of leaps of faith and seen the wings I鈥檝e been growing to fly in my career many times. This is the time I do it again. I鈥檓 not gonna do this for the lab, I鈥檓 gonna do it for myself. So I walked away and started Mowellens. Wow, and how long did it take for you to build Mowellens after that point? It took me 11 months. We launched in March 2018. In March when we launched, I turned on the site, and my manufacturer was moving to Arizona from California. The day my site went live they said 鈥淲e can鈥檛 manufacture for six weeks,鈥� and I thought Omg what am I doing? But it was fine 鈥� it was the first hurdle. I turned on the site, and somehow people were finding me and orders were coming in. In the first month we did $1800. And then second month we were in US Weekly. Shut the Kale Up did a three-minute review on her story, and now it鈥檚 just insane. Why do you think CBD is seemingly everywhere these days? The cannabis movement has been coming about for many, many years. As more people became knowledgeable and gained access to CBD and saw its impact in their lives, it started this snowball effect. The effect that it has, although subtle on a day-to-day basis, is big in the grand scheme of things. We produce natural endocannabinoids and we have an endocannabinoid system that has been really unstudied and not taught in the medical system. When you find an additive or ingredient that can tap into that and bring your body back into homeostasis or balance, it鈥檚 eye-opening and it makes us want to continue to do research in that area. The need, demand, and research will grow and grow. That鈥檚 why I think it鈥檚 having its limelight 鈥� it鈥檚 not just a flash, but a more longterm thing. What is the most common misconception you鈥檇 like to clear up about CBD? It鈥檚 not a magic bullet. Everyone wants to give their ailment, their challenge, their medical issue in hopes that CBD is the cure-all and self-diagnosis to treat and prevent certain issues. It puts the company and CBD in general in a really tough space. We aren鈥檛 a drug, and we don鈥檛 want to be a drug. Drugs take 10 years to come to market and we want to help people now. So if you connect with us and you ask about a medical issue, we can鈥檛 give medical advice. CBD is a great additive or wellness ingredient to help you handle the day-to-day stresses of life. That oftentimes starts a domino effect that leads to other healthy habits. Maybe you鈥檙e able to create pause with CBD, which then allows you to breathe, then you incorporate meditation, then you think about the choices you make when you鈥檙e eating. It starts this cascade of good healthy decisions. If we can create that mindset of creating a pause in your life and then also being an advocate for your own health, then we鈥檝e really accomplished what we set out to do, rather than sell you a CBD product. With CBD so ubiquitous now, how can people be sure they鈥檙e buying quality product? Lab testing is key. Companies should have transparency in lab testing and ingredients and create clean, pure products. Knowing that there aren鈥檛 any heavy metals, pesticides, microbials, or residual solvents is important. Also, knowing what the cannabinoid and terpene profile of a product is 鈥� that can really paint the picture for what type of hemp extract is used. Find what profile works for you and then make sure it鈥檚 produced in a clean, repeatable process. How do you use your product in the kitchen? I usually put Inner Peace in my coffee or latte. I love to start my day with it to really lock me in 鈥� it gives me focused, productive energy. I don鈥檛 do it every day actually. I use a combination of CBD and other methods of self-love and self-care. It鈥檚 not the magic fix, but it does help me to be able to take on more things and manage the stresses of my day-to-day life with ease. I use it in my water; when I was training for the New York Marathon I put drops in my water before I ran to help with recovering quicker and feeling less sore. I think for me it鈥檚 the community of people this has created. Hearing people鈥檚 feedback, connecting 鈥� that鈥檚 what I live by. They come into my life because of the energy I put into the company and products. That means everything to me. What鈥檚 next for you and Mowellens? I want the product to be accessible for all. Right now some people aren鈥檛 able to tap into access because of the price point. Of course it is expensive to operate in this industry, but we鈥檙e coming out with a few different options like subscriptions and we now have a one-milliliter version of Inner Peace so people can try before investing in a full bottle. I just want to be able to continue to give back and support people who are working hard. We鈥檙e also launching our Dream in Green (whipped CBD body cream with moringa) in April. We also have our Grown for Good program, where $1 from every purchase goes to a cause. In the spring we鈥檒l have our first voting round; our customers get to vote on what we do with the money. It may be an event or an organization we partner with to do something good in society.